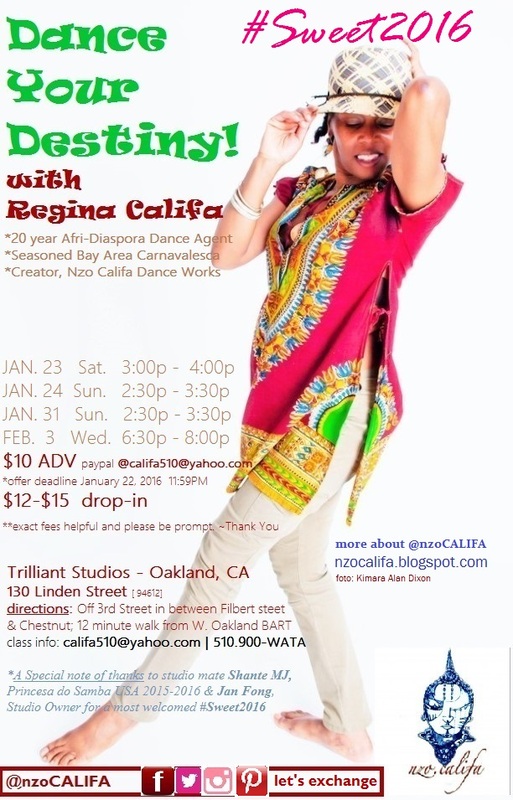 *Feb. 3 Wed 6:30p - 8:00p "
VIDEO-VIRAL -- SEE, BE, LIVE THIS DANCE! ASA! Kelenya for FUZE Carnival 2016! My Mom did too, as a student of 1st Lady of Oakland Dance, Ms. Ruth Beckford and Elendar Barnes who developed Academic Dance disciplines at Oakland's Laney College and UC Berkeley, to starting Fremont High school's 1st Afro contemporary group, and becoming one of Carnaval San Francisco's beloved Bahiana aka Bahiana Pat, of Fogo Na Roupa; Her younger Sister, My Aunt Katie Waters danced with Leon Jackson under the aegis of Elendar Barnes as well. Drum My Pioneering Teachers such as Malonga Casquelourd as well as Marcus Gordon, were Drum Accompanist at Laney. These stories continue to blaze my Dance Sojourn, as I've furthered my steps cross-training between Central & West African Dance genres, to refining movement technique with Dunham & Afro Contemporary styles, to what is often coin-phrased as folkloric. Invoking deeper questions WHY DO I DANCE? 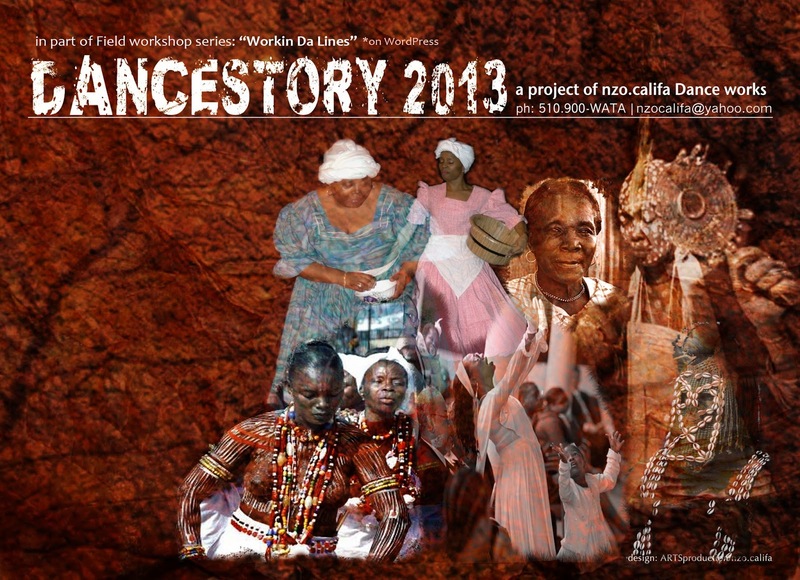 as I began to ask the same of fellow Community Who are these Ancestors we praise, Dance, Drum and Sing for? Whose do you belong to! #Dancestory2015 bears a repository Community Family Histories and narratives collected from nearly 50 leading and willing agents, including Master Teachers and Cultural Gatekeepers, who've captured at least 2-3 generations of their Family line. 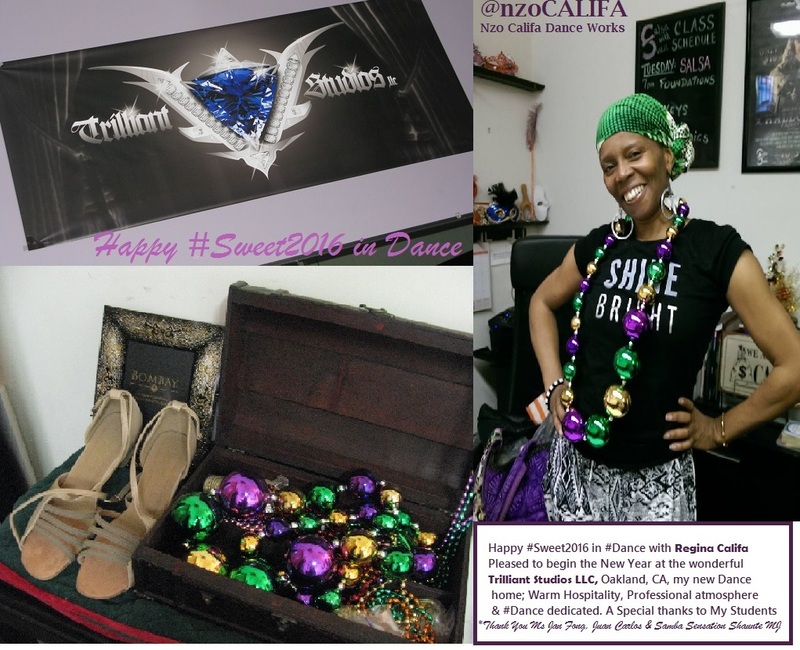 3 years later from the inception of nzoCALIFA's #Dancestory, finding temporary residence in 10 cities throughout the United States, attending a host of Family Reunions, [not just mine] conducting research in Libraries and Institutions across the country like: New York City's Schomberg Public Library & NYC Main, St. Louis Harris Stowe Library & Tech Resource, Amistad Research Center of New Orleans, Atlanta's Fulton Public Library and of course Oakland's Main Library and the Oakland Family History Center at Scottish Rite Temple. While reviewing thousands of documents, spanning eras and counties, I learned upon this sojourn that we have a lot to learn about perseverance. This has become a daily life task, empowered in faith and daily meditation to guide these works forward. The funding support, positive reinforcement and your investments in every amount continually cultivates wealth building standing legacies. On the road to not only restore and revive my Family charter, with perseverance and forward, I am excited to restore and revive the charters of many Families.-- line-by-line, starting with yOUR story. The journey is now enlivened as my cup runneth over with gratitude.